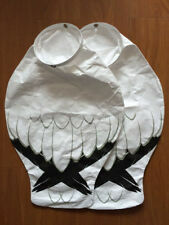 Skyfly Decoys- Snow Goose Windsock Decoy. Perfect size makes the decoy move elegantly even under strong wind blows. Resilient collar band inside allows maximum wind flow into the decoy bag. Material: Dupont Tyvek. 20 Dove Decoys Plus Mojo Dove. Condition is Used. Shipped with USPS Parcel Select Ground. This decoy simulates a hen ready to breed to bring gobblers on the run. Used in conjunction with a Jake decoy, older Toms won't be able to stand a young bird moving in on a breeding hen. The decoy will turn in the wind. 1Pair Turkey Decoys. Keep its shape wonderfully even if they get creased, just use a hair dryer or left them under the sun. Color:(As the picture shown). 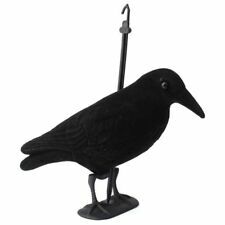 Renzo's Crow Decoys (Six in Package). Condition is New. Shipped with USPS Priority Mail. It also enables it to sit higher for greater visibility in the late season. Crafted out of strong Dura Rubber, this decoy folds up into a bag or turkey vest without creasing or denting. Type Decoy. Here at Zink Calls, our goal and the goal of Avian-X is to promote the sport of waterfowling and turkey hunting too the hunting public in a traditional, ethical, responsible, and enjoyable manner. Primos Gobbstopper Lifelike Jake Turkey Decoy #69066. 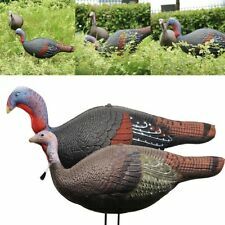 Its ultra-realistic look will fool the leeriest toms and rival the competition’s best looking decoys…at a price any turkey hunter can afford! Wooden Duck Decoy. Antique Primitive Folk Art. Features a seated duck, with a green colored painted head, white painted ring around the neck, brown breast and tail and appears to have glass beaded eyes. Model Number: HW2453. Manufacturer Part Number HW2453. Product Model HW2453. MOJO TAIL CHASER MAX TURKEY. FAN CLAMP ON FOR 10GA-20GA BBL. Manufacturer: MOJO OUTDOORS. Manufacturer MOJO OUTDOORS. : AS A STAND ALONE DECOY. Wood Fish Decoy by Dave Kober - Walleye. Condition is Used. Shipped with USPS Priority Mail. Dave Kober is a current carver located in Michigan. See attached picture for condition. Combined shipping available. Check out my other current listings. Let me kniw if you have any questions. 1 pair turkey decoys. 2 stakes. Note: the decoy will turn in the wind. We will try our best to solve your problem. U.S. 10-15. 15% 4 or more. Flextone Thunder Creeper Turkey Decoy. The Thunder Creeper also readily accepts a real tail fan (not included) for unmatched realism. This is high quality, MADE IN USA nylon flocking that will make your decoys look like new again. We create working decoys of style, character and durability that will be worthy of passing down to the next generation. Decoys are available in drake or hen. This hen is upright but relaxed to attract toms while driving dominant hens crazy. 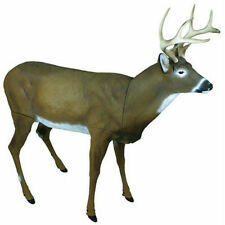 This is the decoy you need when only carrying one to the field or woods. Motion stake and carry bag included. Attracts hens and gobblers. Item model number: 69064. These decoys in the Primos Series, are custom designed with lifelike color and detail to fool even the leeriest of toms. 2 decoy stakes. High definition paint for a Super realistic look. These 3 duck decoys have gracefully decorated my hunting cabinet since the 40's. But it's time to find them a new home.